Welcome to Ningbo SKN Energy Conservation Technology CO.,Ltd. SKN is a professional kitchen and bathroom products provider. 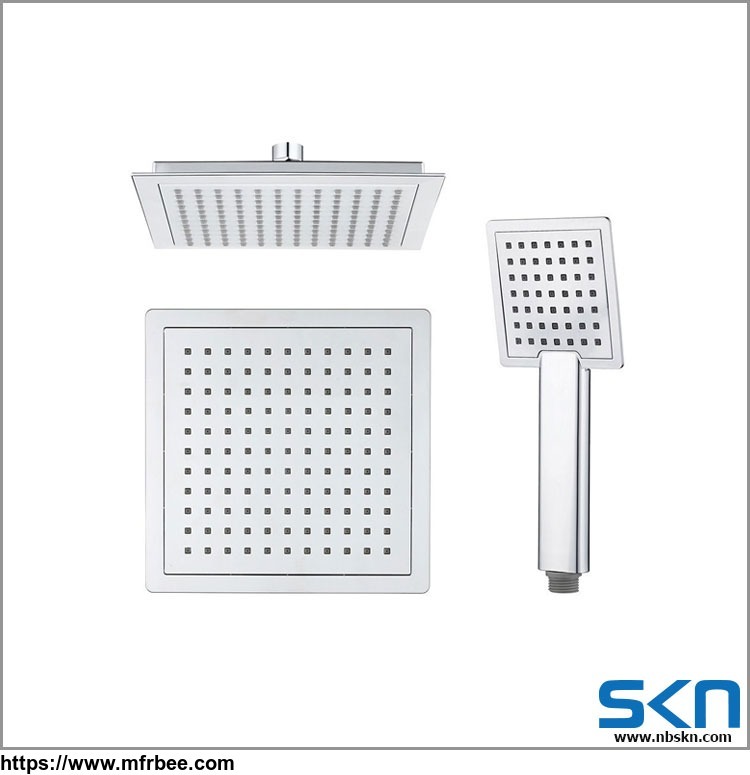 We are specialized in innovation, design and manufacture of unique product lines, such as bidet spray, rain shower, shower head, bathroom shower, hand held shower heads, shower hose, flexible hose, bathroom accessories, shower kits, shower and bathroom accessories etc. to global market. As an export-oriented corporation, we are devoted to produce high qualified products. In order to provide qualified products to our world-wide customers, we are trying our best to make our good service to be a standard system. We have practical sales service to produce and recommend the most appropriate products to meet customers' demand. We have stable and strict quality testing and control team to ensure the goods are in top quality. We have a multinational partnership management team, which has more than 10 years experiences in kitchen and bath industry, specialized in international marketing, international logistics, and procurement fields. Our management team has strong team building skills and management capability. We are committed to making people enjoy healthy, comfortable and fashionable lifestyles through innovative technology and excellent quality products. It has been our aim to supply products of premium quality, at competitive prices, by considerate service. For a better life!” is our business vision, SKN wish to be your reliable and cooperative partner!